Prayer is a vital part of our church’s ministry. We believe that private and corporate prayer are essential to growth in our individual lives and in the life of the church. 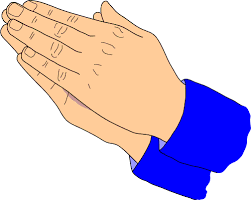 Intercessions:- Intercessions (prayers) during the services are led by members of the congregation. There is included, each Sunday, prayer for a particular mission or missionary. We have a prayer board in the south transept of St Laurence’s church, for any visitors who might want prayer. The person’s name and message can be written on a piece of paper and pinned to the board. Each Sunday the papers are taken off and the prayer messages and people are prayed for. There is also a Prayer request book at the back of All Saints Church, Little Stretton, and St Michael and All Angels Church, All Stretton. Prayer Diary:- There is a Prayer Diary giving daily topics for prayer. Click here for a copy. Monday Prayer Meeting:- Meets every Monday from 9.20am to 10.00am in St Laurence’s Church. Monday Prayer for the Nation Prayer Meeting:- normally meets on 2nd and 4th Mondays of each month, after the Monday Prayer Meeting above, from 10.15am to 11.00am, in the Youth Room in the Parish Centre. Church Family Prayer Meeting on Wednesdays from 7.30pm to 8.30pm - the venue is as given in Contact each week. There are other prayer events from time to time. Church Services:- Prayer ministry is available on Sunday mornings ‘during’ the service of Holy Communion and ‘after’ other services. We have a team of prayer assistants very willing to pray with those who request prayer for themselves, or for others. On the 4th Sunday of most months, a healing service of Holy Communion is held at 6p.m. Here the prayer assistants pray for those seeking God’s healing. If anyone would be interested in joining the Prayer Ministry Team, please click here to contact the Church Office. Telephone & email Prayer Chain:- Many people pray each day in their own homes for people with prayer needs. Anyone needing prayer can contact any member of the prayer chain or the co-ordinators of the email prayer chain (Stevie Walker - stevietextiles@hotmail.com) who will pass the message on and the members pray for that prayer need. The information is as much as the person wants the members to know.